Garrett Whitelock is extremely proud to be part of the local community in SE1. We are committed to reinvesting in a neighbourhood that has shown us tremendous support and encouragement when we first set up the business and has given us so much ever since. We use local suppliers and contractors wherever possible, and we try to support local festivals and events whenever we can. At Garrett Whitelock, we reguarly donate to Dimbleby Cancer Care, a local charity located at Guys Hospital, Bermondsey. Making life better for people living with cancer. Dimbleby Cancer Care provides practical and psychological support for people living with cancer, their families and carers. Quite simply making life better in simple and practical ways for people facing cancer. The charity was set up in 1966 in memory of renowned broadcaster Richard Dimbleby and is based at Guy's Cancer Centre in Bermondsey. The charity receives no government funding and relies solely on public donations and fundraising to continue it's work. 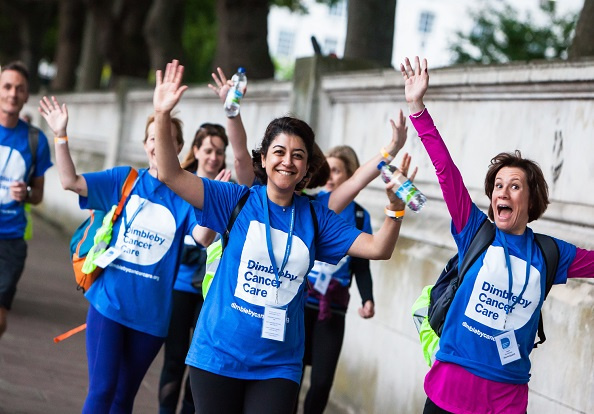 The charity organises a number of its own fundraising events including a local Carols by Candlelight service at St Mary Magdalen, Bermondsey in December, an overnight Walk50 walking challenge through Central London in June and a celebrity Quiz Night in September. 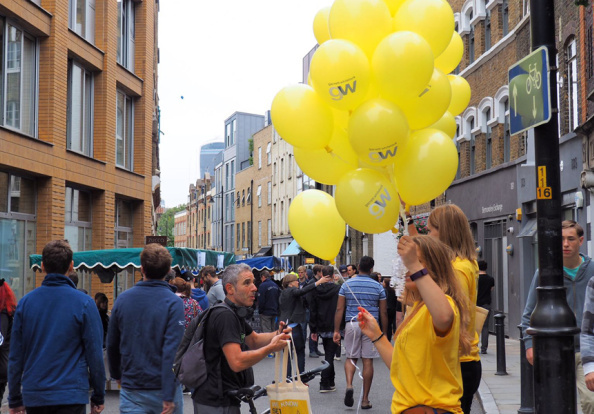 The BermondseyStreet Festival has grown to become a highly anticipated annual fixture in the area's social calendar and Garrett Whitelock is proud to be one of the sponsors of this fantastic community event. Offering the perfect blend of village fête folksiness and Bermondsey Street style, the event encourages people to come together, show off their talents, share their stories, meet new people, try new things and have fun! The event takes place in and around Bermondsey Street each September and offers a unique line-up that celebrates everything local. Music plays a big part in the Festival, with a mix of dub, afro-beat, folk, ska and soul performed on the stages in Tanner Street Park, Whites Grounds and on the Community Stage in Leathermarket Gardens, whilst a wide choice of food is on offer thanks to the Festival's close collaboration with the area's many eateries. The Festival is a free 'not for profit' event run entirely by volunteers from the local community for the local community and aims to develop understanding and tolerance of people from different backgrounds. 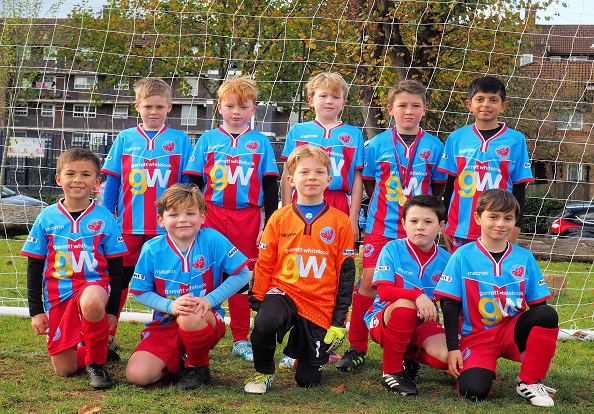 Garrett Whitelock is a passionate supporter of grassroots football and is very proud to sponsor Elmstead Football Club's Under 9s football team. The team practises on Saturdays and plays competitive matches on Sundays and we're extremely impressed by the hard work and commitment of all players in our squad. Elmstead FC was founded in 1958 and is based at Chislehurst Recreation Ground. The club's goal is to provide the best coaching and facilities for players of all ages and to give children from under 7 upwards the opportunity to experience high quality football in a fun and friendly environment and improve their skills. The club runs numerous teams for children and adults and prides itself on its friendly atmosphere and professional team management. Elmstead FC has close links with the local and wider community and welcomes children and parents from all backgrounds. The club uses FA certified coaches and operates a very strict code of conduct and child protection policy. All coaches, managers and volunteers are strictly vetted against the FA DBS process before entering the club. Additionally, the club has a close association with MAVD Coaching, which runs coaching schools to allow boys and girls as young as three years old to gain all the basic ball skills to progress to a level where they can integrate in the club's under 7 team.